A lawyer representing InGen’s investors. 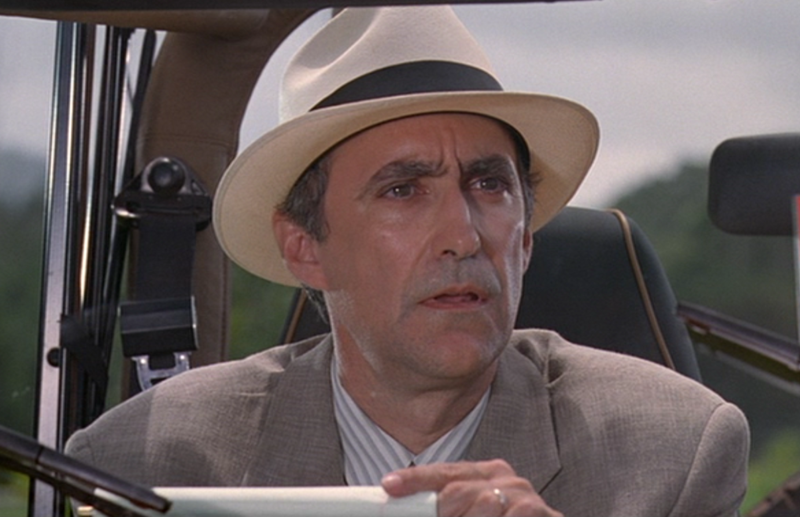 Donald Gennaro was dispatched to look into the affair at Jurassic Park following the accident involving the death of a worker. 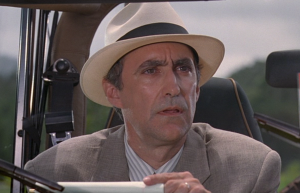 His employers wanted John Hammond to get experts to sign off on the island, and Gennaro was sent to get Dr. Ian Malcolm even though he was “too trendy,” but decided to have him come along anyway. 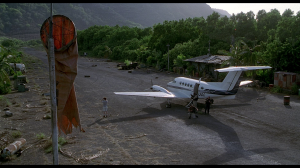 Gennaro had no idea what was being done on Isla Nublar. Upon arriving, he was stunned by the sight of a real-live Brachiosaurus. Before that, he was skeptical of Jurassic Park’s future. Upon seeing the dinosaurs he became certain they could make a fortune with it. Gennaro wanted to make it so they charge up to $2,000 or $10,000 a day for visitors. However, Hammond made him back down by saying that everyone in the world had the right to see the dinosaurs, not just the super-rich. Gennaro went on the tour with Dr. Alan Grant, Dr. Ellie Sattler, Dr. Ian Malcolm and Hammond’s grandchildren Lex and Tim Murphy. After returning to the cars from visiting the sickened Triceratops, he suggested to Dr. Grant they remain where they were. He believed pounding on the ground to be the power’s attempt at being restored. When the Tyrannosaur escaped her paddock, Gennaro abandoned the kids in a fit of wild panic, hiding in a nearby outhouse. This did not save him for long, though. While chasing Dr. Malcolm, the Tyrannosaurus knocked over Gennaro’s hiding place. Taking one look at the lawyer, the dinosaur quickly gobbled him up off the toilet he was crouched on. 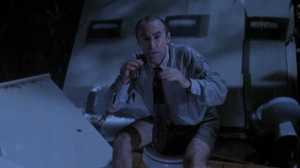 Donald Gennaro was played by Martin Ferrero.